How/When/Where Do You Have Your Meals? Get in the habit of eating meals at the kitchen table or in the dining room. Meals should be a time to relax, not to be rushed or distracted. Preset your table with nice linen napkins, plates, and glasses. This will make you want to sit down and eat. What else are you doing while you are eating? Are you watching a movie, reading, or preparing other food? Eating while you do other things can be distracting and lead to eating more calories than you intend to. You may even begin to feel the need to eat whenever you do these activities. Break the link and enjoy your food without distraction! 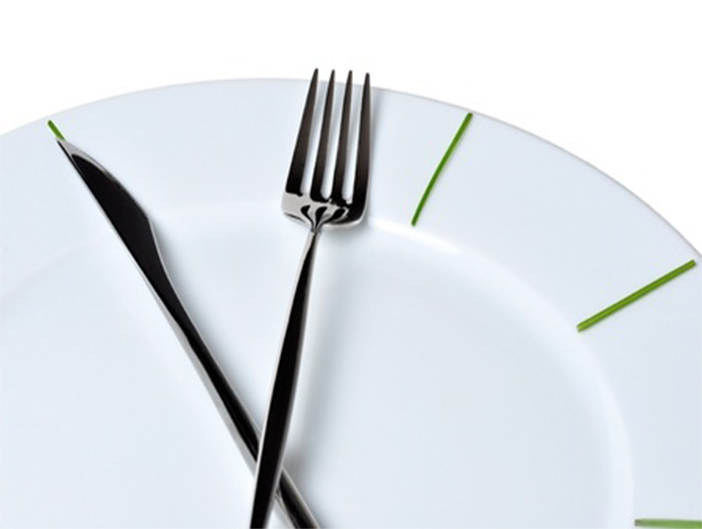 How long does it generally take you to eat your meal? Is it less than five minutes, five to ten minutes, ten to twenty minutes, twenty minutes or more? The longer it takes you to eat the meal, the more time your brain has to register that you are full. Eating too fast creates a time lag. You tend to over-eat before because you don't feel full. Slow down! You will likely eat less and enjoy the experience.